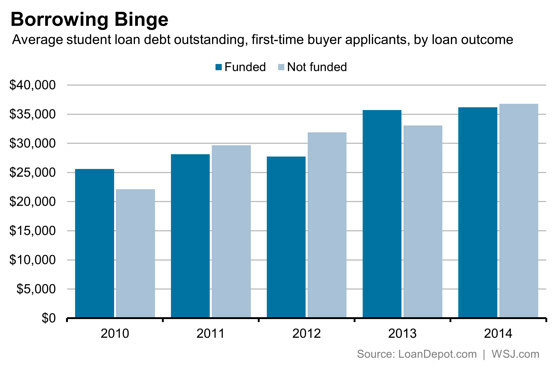 The quantity of student loans overdue by 90 days or more has risen to 11.3 percent, its highest point in a year. As youth grapple with student loan debt, they are less likely to take out a mortgage, according to the Federal Reserve Bank of New York. Total student borrowing is at $1.16 trillion, the New York Fed reported Tuesday, the highest on record and 7.1 percent more than one year ago. 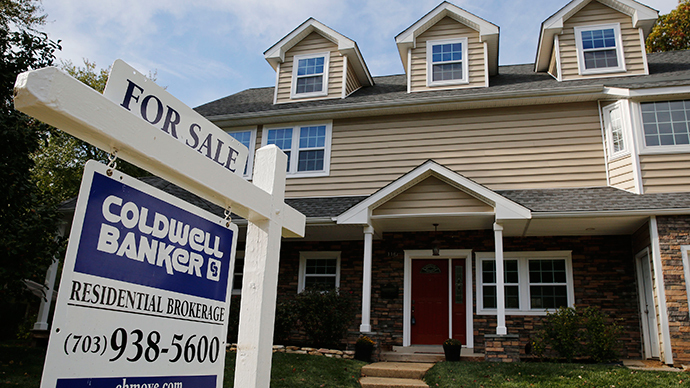 Before the Great Recession, 30-year-old Americans with student debt were more likely to have a mortgage based on their higher income and education levels, the New York Fed said. Since then, that trend has reversed. The New York Fed reported in May that in 2013, student debtors between the ages of 27 and 30 were less likely to have a mortgage than those without debt. "Student loan delinquencies and repayment problems appear to be reducing borrowers' ability to form their own households," Donghoon Lee, a New York Fed research officer, told the Associated Press. According to Harvard University’s Joint Center for Housing Studies, home ownership for Americans ages 25-34 went down by 8 percent between 2004 and 2013. “Using a nationally representative sample of young individuals with credit records who were between the ages of 29 and 31 in years 2004-2010 … the homeownership rate declined relatively more for those with student loan debt … than for those without student loan debt,” according to the Fed. While student loan debt has gotten worse in recent years for the young, the US Government Accountability Office reported in September that outstanding student loans affect nearly all age groups. In 2013, Americans ages 25 or younger held nearly $150 billion in student loan debt, the GAO found, while those between the ages of 25 and 49 carried about $700 billion in student debt. Those between the ages of 65 and 74 had around $150 billion in student debt, also. Overall debts in the US went up in the fourth quarter of 2014, rising $117 billion from October through December to a total of $11.8 trillion, the New York Fed reported.